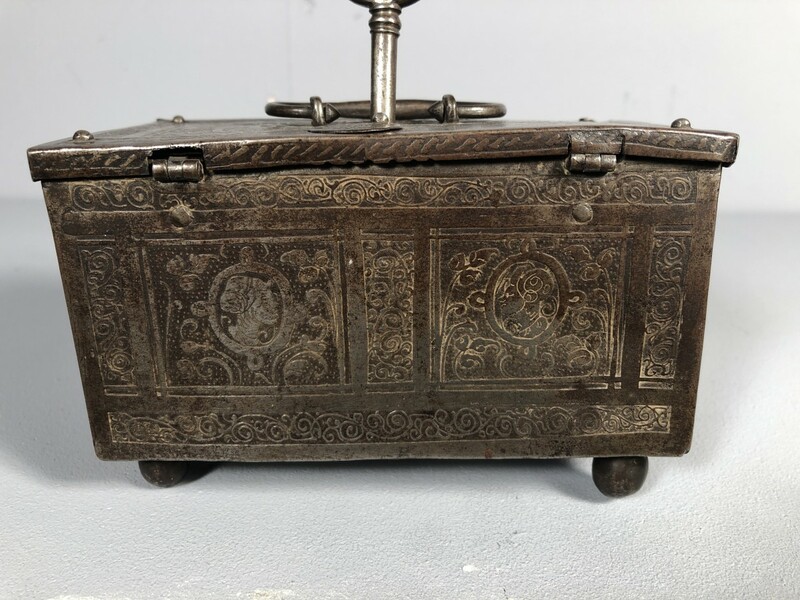 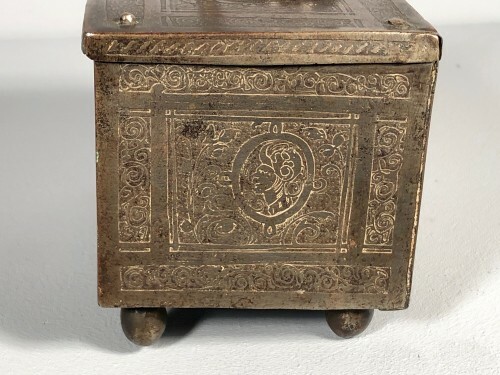 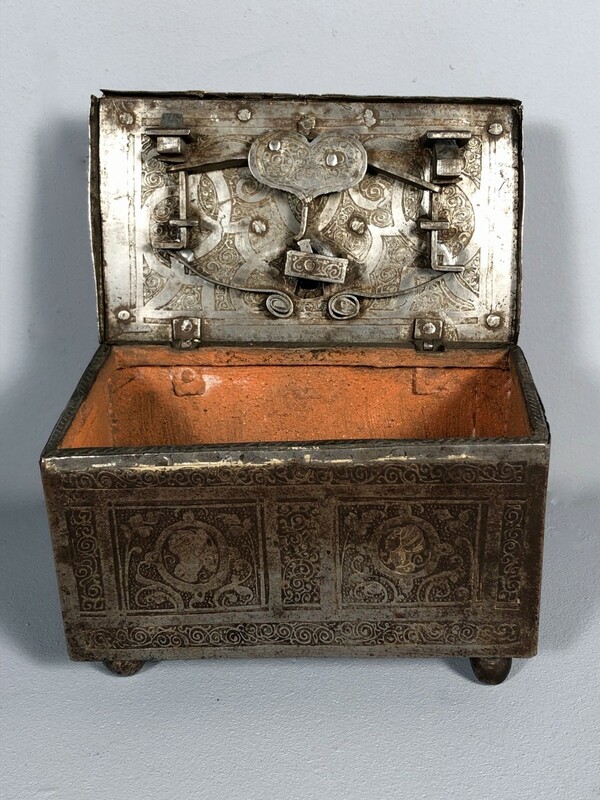 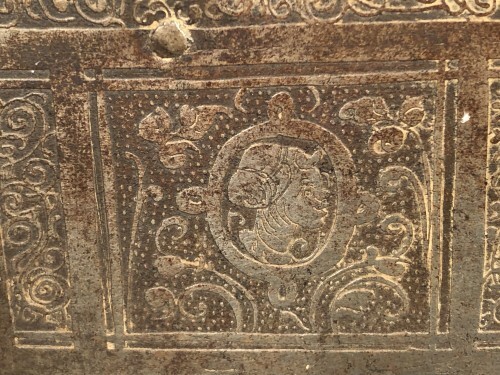 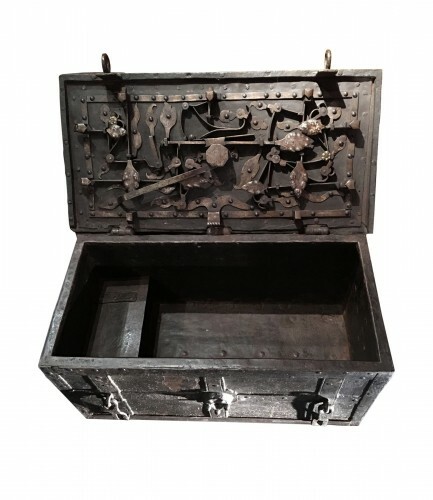 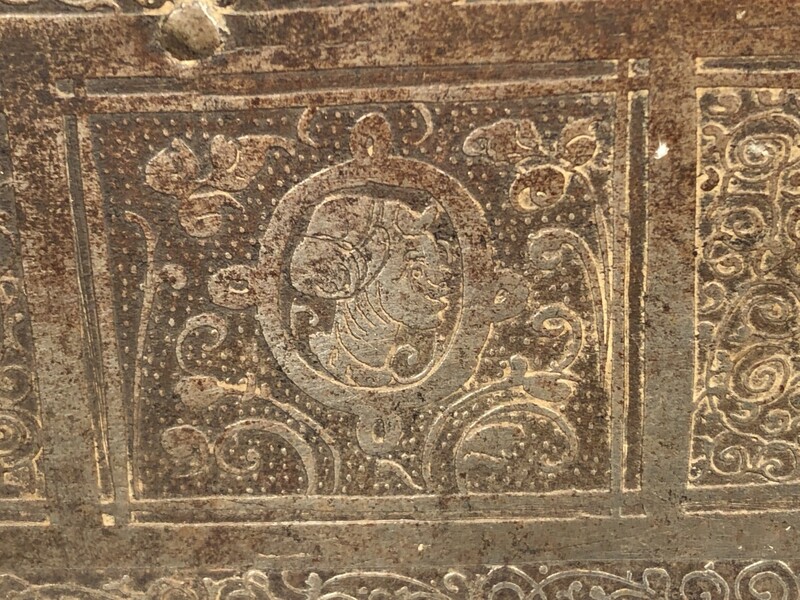 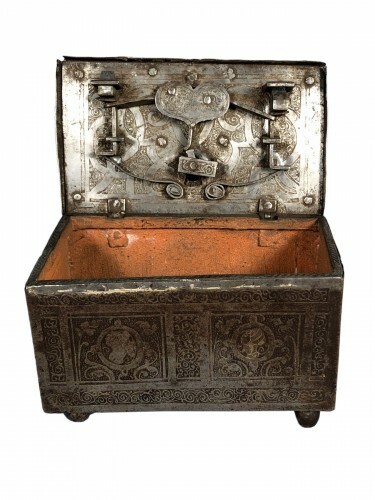 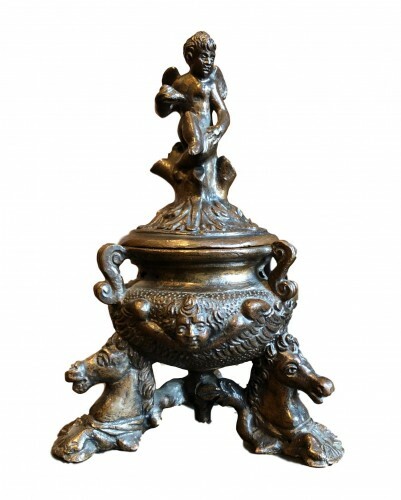 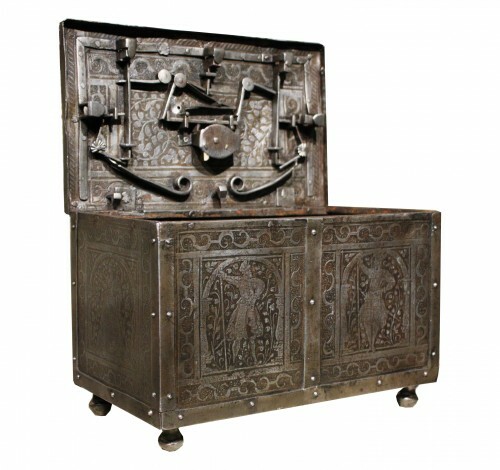 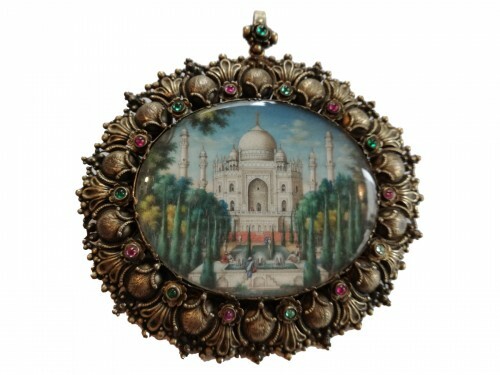 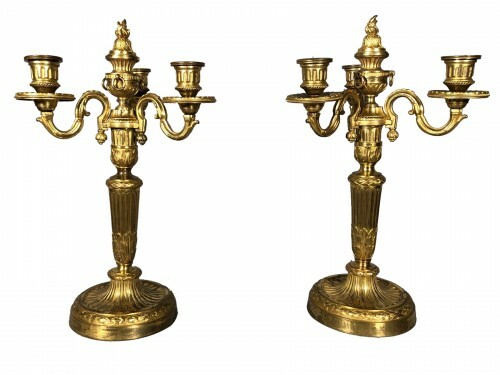 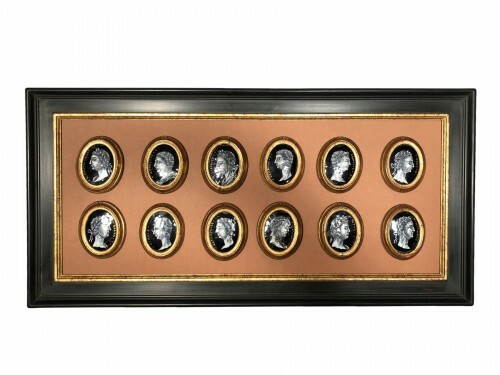 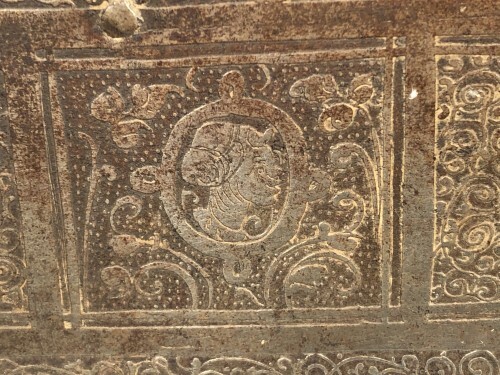 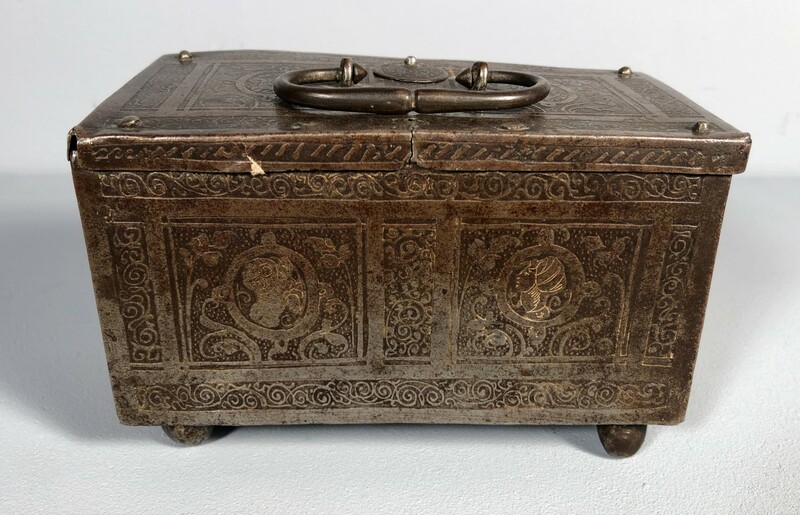 Small wrought iron box decorated with etching of two medallions of a couple in Renaissance outfit in an environment of arabesques. 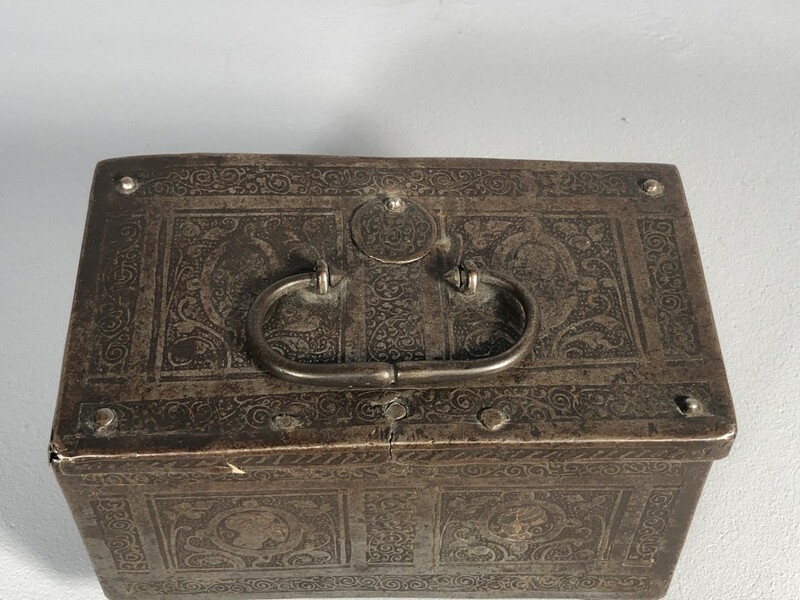 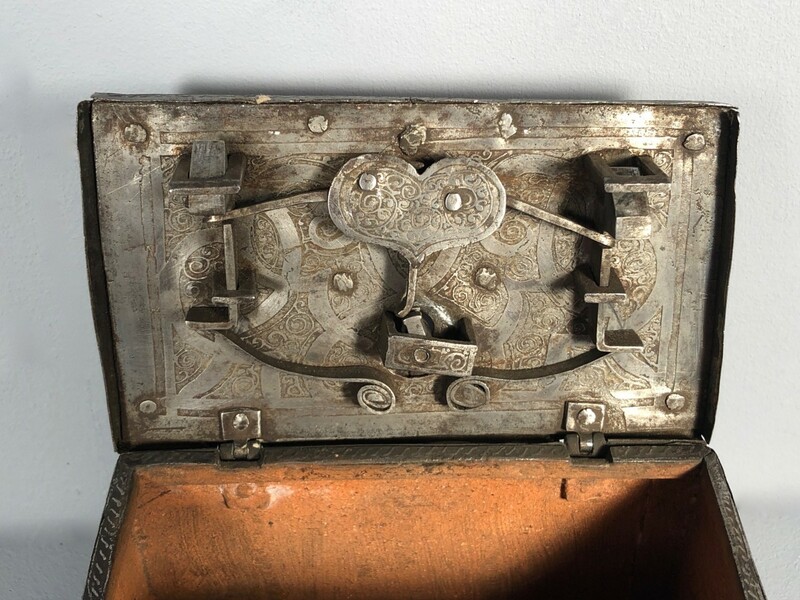 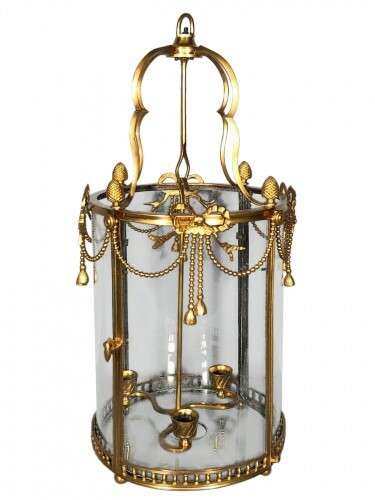 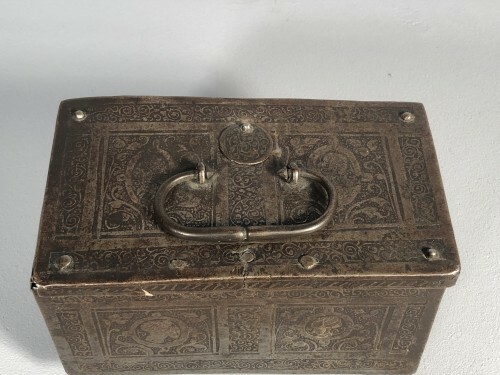 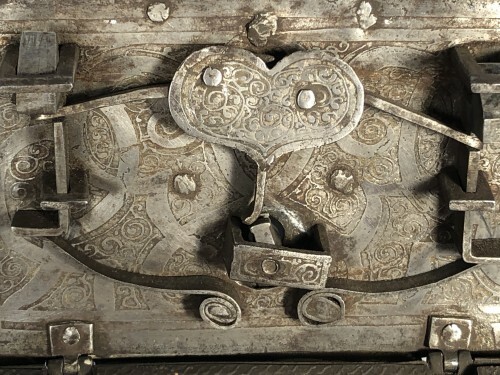 Very beautiful lock with two bolts under the flap, decorated with a heart and engraved with arabesques. Beautiful state of conservation, key back. Southern Germany, Nuremberg late 16th century.